Almost 40% of the UK’s population use sun beds. Of that 40%, HALF don’t use the correct EYE PROTECTION. “When you’re on holiday do you use sunglasses?” Why is it different on a sunbed? Truth is, it isn’t. Your eyes need protecting from the UV rays. 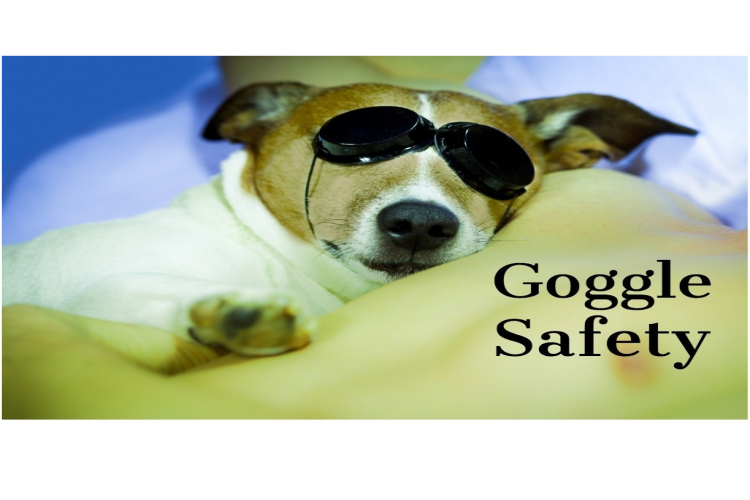 It is vital you take advantage of the goggles to give the best protection possible. Simply closing your eyes doesn’t offer the full protection your eyes deserve and need. The skin on the eyelids is thin and delicate. If you avoid using eye protection, you are leaving yourself at risk of developing benign eye growths called pterygium. Whilst its common people have a fear of developing ‘panda eyes’ during the tanning process, surely safety should prevail, right? You need to treat going on a sunbed like going to the beach… following some simple steps will ensure you are protecting your eyes whilst getting that desired summer glow. Most sunbed companies have specifically made goggles for sunbed use to safeguard your eyes. 1) Decide if you are going on a laydown or vertical sunbed. 2) Choose your goggles wisely…. laydown – use the mirrored goggles that can lay snugly in your eyes. Vertical sunbeds use goggles with a head strap for extra security. 3) Never forget goggle safety. Don’t take your eyes for granted as they are one of the most important parts of your body. Without them your life would be hugely impacted and changed forever. Give them the respect they deserve and protect them with specific UV goggles designed for use on sunbeds.